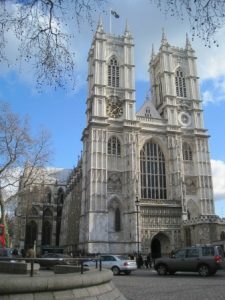 Westminster Abbey is an early English gothic church located to the west of the Houses of Parliament and facing west onto Victoria Street. The church dates from the 11th century and was originally a monastery. It has great historic, cultural and religious significance and has been the place of coronation (with two exceptions) for all English monarchs since the coronation of William the Conqueror in 1066. The abbey has numerous chapels and tombs of royals and nobles and at Poet’s Corner many writers are commemorated. A museum in one of the oldest parts of the church includes effigies and waxworks of British monarchs among its exhibits. The abbey is open from Monday to Saturday, opening times vary so check the calendar on the Abbey’s website. There is a fee for entry.